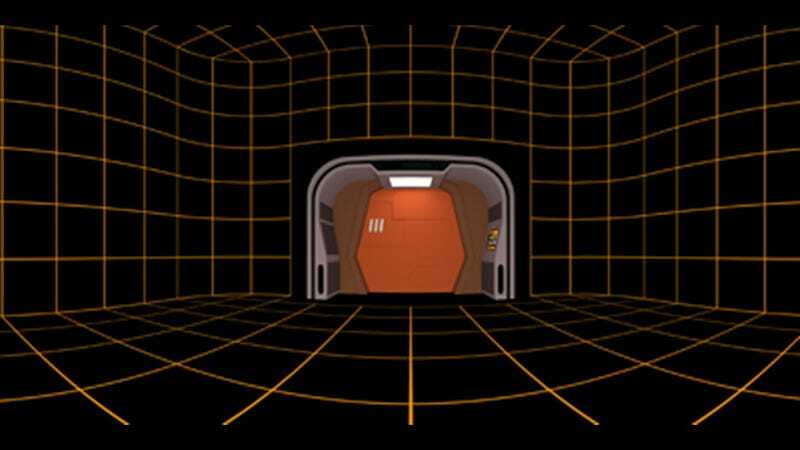 Ever since HTC and Valve’s Vive VR headset was announced, people have been comparing it to Star Trek’s Holodeck. Now that Valve is letting people make their own Steam VR backgrounds—between-game hangouts, essentially—someone put two and two together. So basically, you can hang out and walk around in the Holodeck, and then when you’re ready, you can venture to some far off land and maybe die in real life. But probably not, unless you, like, trip over a table or something. Already, there are quite a few cool backgrounds for Steam VR. Highlights include a Mirror’s Edge rooftop, Diamond City from Fallout 4, and LAX, because who hasn’t fantasized about wishing they were anywhere other than LAX?